As a member of a global university, with three truly international campuses, I have to disagree. I drafted this piece late last year at the University of Nottingham’s Malaysia Campus (UNMC), home to some 4,500 students and over 450 staff, located at the edge of Kuala Lumpur in a breathtakingly beautiful setting. After meetings with a range of senior staff and bumping into our UK-based Pro-Vice-Chancellor for Internationalisation who was visiting the campus prior to taking over as Provost I then headed off to the University of Nottingham Ningbo China (UNNC) campus (5,000 students, over 400 staff). As anyone who has visited either campus will attest, these are no outposts. 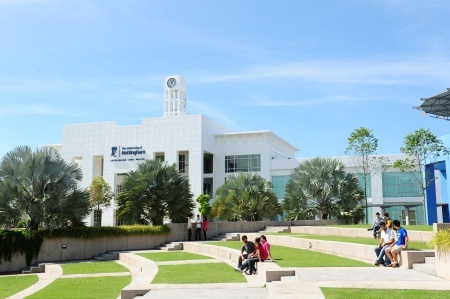 Both campuses are larger than a good number of UK HE institutions and are already, despite their relative youth (UNMC became the first overseas campus of any UK university some 12 years ago and UNNC was founded in 2004), they are already punching significantly above their weight in both research and teaching in their host countries. OBHE, in its most recent report, identifies some 200 or so branch campuses around the world with another 37 at least in the pipeline. However, very few of these are of the scale, breadth or depth of the Nottingham developments and many are the outposts Coats describes with teaching delivered in rented office accommodation by staff who fly in for a few weeks before flying back home again. 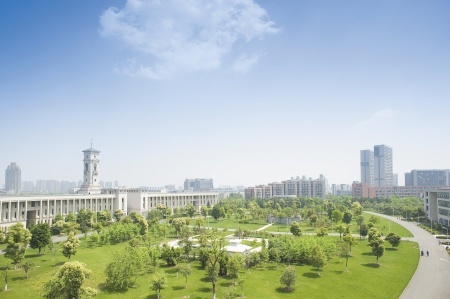 At the University of Nottingham we are committed to providing a truly international education, inspiring our students, producing world-leading research and benefiting the communities around our campuses in the UK, China and Malaysia. Our purpose is to improve life for individuals and societies worldwide. By bold innovation and excellence in all that we do, we make both knowledge and discoveries matter. Our academic staff on all campuses are international in composition (25% are international) and outlook too. One in five of our undergraduates undertakes international mobility. 17% of published research outputs are internationally co-authored and 37% of our research funding is obtained internationally. We have strategic partnerships with other leading universities in over 25 countries and one of the largest scholarship programmes for students from the developing world. When universities make claims about their global outlook and deep internationalization there is a tendency for the rhetoric significantly to oustrip the reality. Nottingham is, I think, a bit different. The evidence for the range and depth of the internationalization is pretty much everywhere and is now part of the fabric, culture and practice across the University. Internationalisation both drives and supports our teaching and research mission, provides wider benefits for staff and students as well as facilitating access to a broad international talent pool. Internationalisation at Nottingham has many facets: it means an extraordinarily diverse staff and student body, outstanding campuses, significant staff and student mobility, a distinctive curriculum, unique international research activity (including, for example, field scale tropical crop trials as part of the Crops for the Future initiative which would simply impossible in the UK) and partnerships as well as the new collaborative Knowledge Without Borders Network which seeks to learn from and build upon all of these developments. Can Nottingham claim to be a genuinely international institution? I think so. At the very least we are, as the Sunday Times observed, “the closest Britain has to a truly global university”. It is not enough simply to have outstandingly successful and growing international campuses or to host visits from the British and Malaysian Prime Ministers or the then Chinese Premier (as happened at UNMC and UNNC respectively last year) it has to permeate the institution from top to bottom. In short, it is all about delivery and Nottingham has delivered and continues to deliver real international higher education. This is the experience at our global institution. It’s not perfect and there is still a long way to go to develop fully the potential of all three of our international campuses in Malaysia, China and the UK but I think it is real, meaningful, deep and sustained internationalisation. I wish Warwick and Monash well in their collaboration; I am sure we would be delighted to welcome Professor Coats to any of our campuses to see our truly transnational offering and experience a real global University. This entry was posted in Admin, HE, Imperfect University, international, Management, research, teaching and learning, University of Nottingham and tagged Administration, globalisation, Guardian, HE, international, Monash, Sunday Times, teaching and learning, TNE, universities, University of Nottingham, Warwick, world by Paul. Bookmark the permalink.